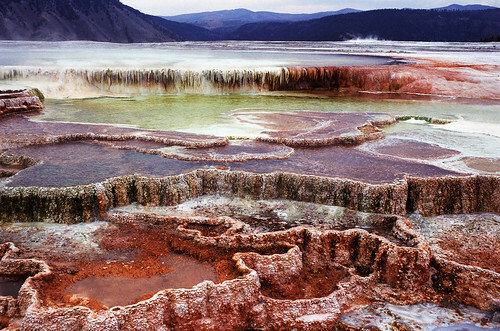 The Many Colors of Mammoth Hot Springs by Robby Edwards. On our second full day in Yellowstone we drove through the Upper Terraces Area of Mammoth Hot Springs, stopping to get out of the car and walk around this wonderland of colors. This entry was posted on February 11, 2008 at 1:29 pm and filed under hot spring, Mammoth Hot Springs, National Park, Upper Terraces Area, vacation, Wyoming, Yellowstone, Yellowstone National Park.